Show off your personal style with this boxy crop top from Miss Chase. Made from cotton fabric, it will provide you with immense comfort throughout the day. 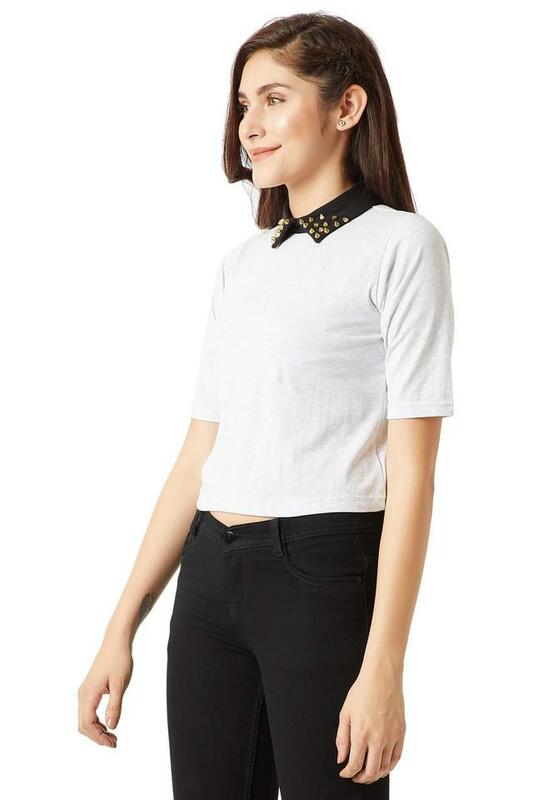 Featuring a peter pan collar, half sleeves and solid pattern which possess a fashionable magnetism. 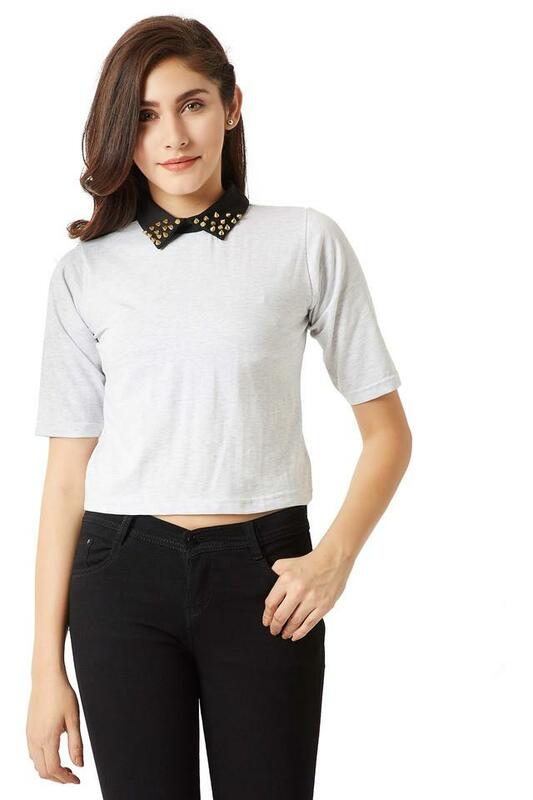 Give your regular look a stylish makeover with this boxy crop top. You can style this top with a pair of jeans or shorts and strappy sandals.